Reach directly to over 200,000 visitors per month looking for auction property. 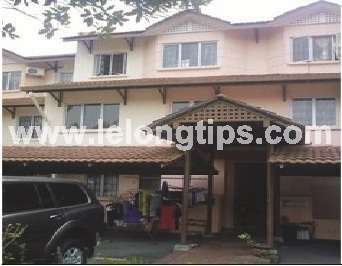 LelongTips.com.my is the biggest Property & Auto Auction Portal in Malaysia with more than 350,000 auction transactions with status since 2004. We serve more than 90,000 free and paid subscription members. Some of our members have been using our services. Receive selected hotpicks and exclusive promotions! Copyright © 2004-2019 LelongTips.com.my All rights reserved. Contents in this website is copyrighted. Some listings are exclusive auction listings. We reserve all rights against any attempts to copy and re-produce the contents. LelongTips "PB Specialist" let our VIP-Agents reach auction buyers in a fast and direct manner. You can select an auction property market, and then post your contact number, email address and display photo (optional). VIP-Agents can select either to post at Premium Spot or Basic Spot. Why advertise as PB Specialist? Lelongtips.com is Malaysia's No. 1 auction portal with more than 300,00 properties for auction. Reach directly to buyers looking for auction properties. We have over 50,000 free and paid subscription members actively looking out for auction properties. This feature is open for VIP-Agents only, thus less competition from other agents on same property. Choose the property you wish to market. Click 'Post Your Contact Now'. Enter your name, contact, display photo and email. Contact ads will be shown on the spot once you had click 'Submit Your Ads'. If you are the 1st advertiser, you will be shown at Premium Spot. If someone bid higher than you to take the Premium Spot, you will be shown at Basic Spot. Good news is you can still bid higher to regain the Premium Spot. * Lelongtips.com acts only as a platform and is not responsible nor liable for any engagements, arrangements, or agreements between Real Estate Agents and potential buyers. "Third Party Agent Contacts" is a platform for auction buyers to contact agents that is believed to be familiar to the subject auction property and capable to provide further information. All Third Party Agents are not part of our websites and are not under the control of or the responsibility of LELONGTIPS.COM. LELONGTIPS.COM and its related entities make no warranty as to the accuracy or reliability of the information provided by any third party agents, and Lelongtips.com and its related entities, directors, officers and agents disclaim all liability and responsibility for any direct or indirect loss or damage which may be suffered by you through relying on anything contained on or omitted from such third party websites. A display of advertising does not imply an endorsement or recommendation by LELONGTIPS.COM. Sorry, this feature is only for Members. Not a member yet? Sign up today. It's Free!